In many secondary schools across the country, the American and French Revolution and the 1798 Irish Rebellion are usually covered at this time of year in Second Year History classes. My favourite Revolution to teach is the American Revolution because there are hundreds of resources out there to help you! I will now go through four weeks of resources that you might like to use when you are teaching the American Revolution. I have used all of these resources in the classroom and I find them engaging for students when teaching this topic. In the first week, it is more of an introduction to the topic. The students will to be able to give a definition of a revolution and be able to recognise and identify examples of revolutions. It is always useful to give examples to students with what they can relate to. The students will know the various causes/reasons for a revolution with specific reference to the American Revolution. This is foundation to their understanding to the introduction to the theme of the American Revolution. I find that when presenting new concepts/key words to students, it is useful to use a Word Cloud Handout and students can write down the concept / keyword and the meaning. In the next lesson, the aim is for the students to be able to identify the thirteen colonies. The students will be able to recognise how the colonies were governed by the British and will be able to locate causes and reasons for the revolution through an introduction to the discontent. The students will be able to identify the thirteen colonies on a map and understand the concept of a colony. I found my 13 Colonies Handout (L2) useful because page one displays the colonies on a map and page two the students must label them. This could also be used as a form of assessment or as a group quiz in class. To assess what the students have learned about the 13 colonies, I made a simple quiz on Word which you can download here LP2 13 Colony question. I found a useful resource called 13 colonies which is an application available to purchase and download from the App store. If you are teaching in a school that uses iPads/tablets this will be of major benefit to you. The app explores daily life in the 13 colonies with an interactive guide to food, drink and what life was really life. It is packed with additional information not found in the textbook and was well worth the investment of €1.99 on the App store. There is another application, Revolution – First hand American history which is available for purchase and download for €0.99 on the App store. It delves into 85 primary source accounts , lots of information, you can create multiple tabs, highlight, make personal notes and has an easy to use document rolodex. In the next lesson, the students will learn about the steps which led to the American Revolution. 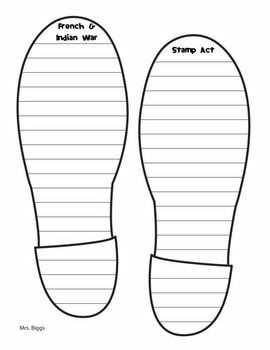 The students will be able to recall the various taxation acts such as the Stamp Act and Townshend Act introduced to the Thirteen American Colonies and understand why the colonists resented this. I have attached a Powerpoint presentation here on the causes of the American Revolution which also includes keywords and their definitions. The students will learn why these acts and events occurred and the lead up to the American Revolution including the French-Indian War. I downloaded a Steps to Revolution Worksheet (L3) which is a useful resource and can be used for assessing the students in class or as a homework tool. Some classes depending on ability levels will not grasp all of that information in one lesson so it is worth spending time revising this in the next lesson to make sure everyone understands the causes of the American Revolution. In the following lesson,I taught the students about what the First Continental Congress was by the aid of a Podcast ( I only discovered Podcasts recently – (thank you @TheBCTeaching!). The students were then able to write in their own words what this was. Why was the congress formed? Where did the first congress take place? What did the colonist call the acts passes against then? To continue on, the students will be able to list and define the causes of the American Revolutionary War. The students learn about and be able to identify and recognise the foundation of the United States of America, the Declaration of Independence. Why did America want independence? Why is the 4th of July celebrated as a national holiday in America? As a homework assessment, you could ask the students to write three important things they have learned about the Declaration of Independence Worksheet(L5) with a blank scroll which you can use for FREE. In the next lesson, the students learned about the Battle at Valley Forge and will understand why this was a turning point in the American Revolutionary War. A handout which would be beneficial for students here is the Battles of the American Revolution(L6) where students will be able to learn, list and briefly describe the other key Battles of the American Revolutionary War. A fun activity is to ask students to draw a storyboard activity of the American Revolution and describe the causes, battles and events that led to the American Revolutionary War. You can access free digital storyboards on Storyboard That or download printable blank storyboards from Printable Storyboards. You can also download free printable mindmaps from My Mind Map. The People in History question in this section is on George Washington as a revolutionary leader in the American Revolution. It is important to make students aware of the Junior Cert Exam question and the structure expected from them in the field of ‘People in History’. When the students have learned about George Washington, they can complete a Fakebook profile and fill in the ten key points about him as a revolutionary leader. To assess the students on the topic overall, the students wrote out the ten key points on George Washington and completed a test on the battles, causes and consequences of the American Revolution. You could also assess students by means of a project. This could be on each revolution or one revolution in particular. Last year, I assigned students a revolution, which they became ‘experts’ in. I then corrected the students research and work in advance and then they transferred this onto the coloured pages. They enjoyed presenting their findings and teaching their peers. The rest of the class were allowed to ask questions at the end of the presentations which they all seemed to enjoy. The project consisted of the American Revolution, the French Revolution and the 1798 Irish Rebellion. For an additional resource and a learning aid, I made this handout American Revolutuion TL and glossary (L4) which is a Glossary of words and a Timeline about the American Revolution. This will help the students as they read/study/revise about the American Revolution. For more video clips on the American Revolution you can also check out History.com. The American Revolution website is full of information and resources committed to helping in the education and awareness of The American Revolution for both students and teachers. The students can relate the topic with a documentary on the American Revolution (variations on Youtube – choose a suitable one for your class group). John Heffernan also has some great ideas and resources uploaded to TeachNet for teaching the American Revolution. Another resource is Teaching History which explores the digital classroom, teaching, methods and content for history. An article I came across recently was the Irish in the Revolution and their involvement which is an interesting read for both students and teachers. NB : If anyone is looking for Powerpoint presentations, let me know here or on my Twitter (@5j16MsDignam)and I can email them to you no problem. I am having issues uploading Powerpoints to my blog at the moment. Printable blank storyboards from Printable Storyboards. Free printable mindmaps from My Mind Map.